Want to know how to recover deleted photos from LG phone? Read this post to get a trustworthy Android data recovery tool to retrieve deleted photos quickly and easily. LG phones are with an increasingly high reputation among many users, because of its high-technical function and good looking. Some of them just feature water-resistance with a tall, expansive display and an extra-wide-angle camera. With it, you can shoot many high-resolution pictures, and record any wonderful moment vividly in your daily life. But things happen. There are some situations where users may delete some of these photos by accident, or lose them for some other reasons. That could be nerve-wracking. However, there is no need to worry about it, because in this post, we will share two methods to successfully find the pictures and get them back. When users remove some of the pictures in the gallery app, LG phone will put the deleted items in the trash album for 7 days. After 7 days, they will be removed permanently. So if when we want to find the lost photos, the first way worth trying is to check the trash album. There will a high chance for you to retrieve your missing photos. By this way, you won’t need a computer. And here are the detailed steps to follow. Then you can view the images that have been deleted within 7 days. Find the ones you want, and click the Restore option to get them back into Gallery. If you want to restore the whole trash album, just click the icon at the top of the screen and you will find the option. If in the trash album, you cannot find what you want, it is probably because they have been deleted 7 days ago, or they are missing for some other reasons. Anyway, no matter what kind of reason they are missing for, we can also find them, but we need help from some tools. There are several Android recovery application we can choose out there. For much more quickly and safely recovering deleted photos from LG phone, we recommend highly a trustworthy and professional software – PhoneRescue – Android Data Recovery. 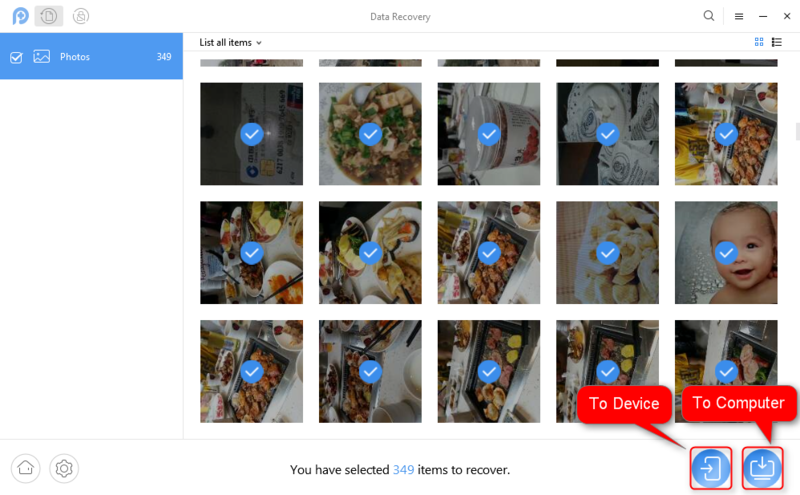 PhoneRescue – Android Data Recovery has been trusted by millions of Android users for data recovery, and it has successfully helped plenty of LG phone users to retrieve deleted photos. Now, let’s check its excellent features on LG photo recovery. 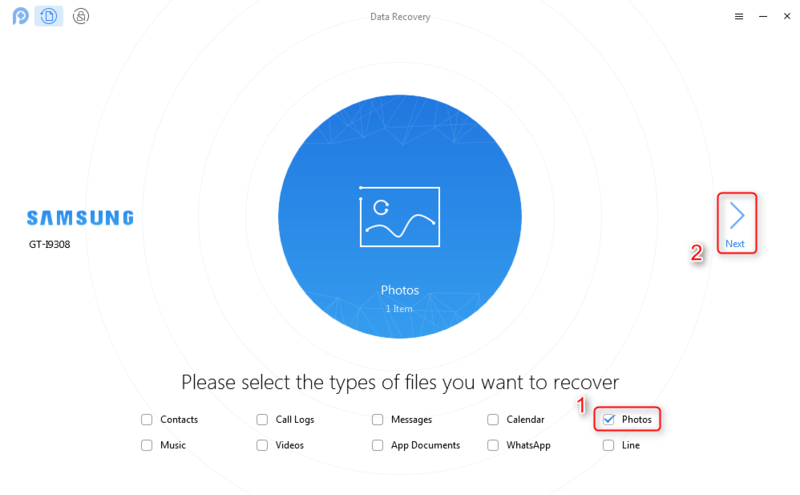 Easy to Use & Fastest Recovery Speed – It helps you find all deleted photos in just 3 simple steps, and recover them in just a few minutes. 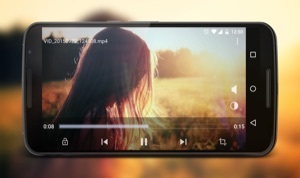 Preview and Selectively Recovery – It supports previewing the deleted photos on LG phone before recovering and allowing you to choose the photos you wanted most to recover. Compatible with All LG Models – It works well with all LG phone, including LG G8, LG V50, LGV40, LG G7, LG K30, LG V40, LG X Charge, LG X Venture, LG V30, LG V30 Plus, LG Q6, LG X Venture, LG Q6+, LG K4 2017, LG K8 2017, LG G6+, LG G6 (with Hi-Fi DAC), LG G6, LG V20, LG X Power, K10 Smartphone, LG G5 Smartphone, etc. 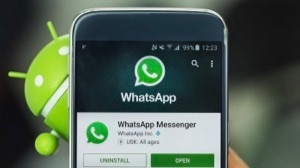 Recover More than Photos – Besides photos, it also supports other Android data recovering, such as contacts, music, videos, calendar, messages, etc. Step 1 Free Download PhoneRescue – Android Data Recovery and install it on your computer > Run it > Connect your LG phone to the computer. Step 1 On home page of PhoneRescue for Android, check Photos option > Click the arrow button to scan your LG phone. It will scan all existing data on LG phone (here taking Samsung device as an example). Step 1 After scanning, the deleted pictures will be displayed > Choose what photos you would like to recover > Click To Device or To Computer button at the bottom right corner to recover them now. 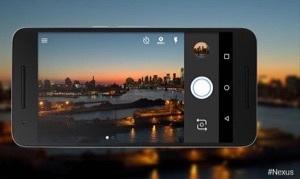 You may have got the main point on how to recover deleted pictures on the LG phone. Just as you can see from above, PhoneRescue for Android makes it quite easy to retrieve deleted photos on LG phone. So, have a try for free now.